Replacement Cost vs. Market Value: Why is my Dwelling Coverage so High? One of the most common questions that we are asked in our office is “Why is my dwelling coverage so high?” We all know that the housing market is not where it used to be. This has been the case for some time and probably isn’t changing any time soon. So why does the insurance company insure your home for more than it’s worth? 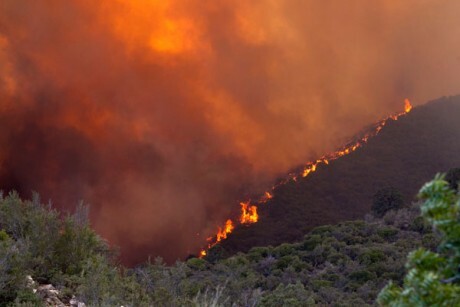 Amongst other things, home insurance is there to protect you in event that there is a complete and total loss. Regardless of whether you would purchase a new home or rebuild your home, it doesn’t change the fact that the company who is insuring your home is just that….insuring your home. They aren’t necessarily insuring you to go out and purchase another home, but rather are insuring the home that you currently live in and the coverage is determined by how much it would cost to actually rebuild your home from the ground up. 1. The Market Value for a home generally includes the value of the land on which the home sits. The Replacement Cost of a home does not include any land values, but is only concerned with the home itself. 2. The Market Value for a home is affected by changes in the real estate market. When homes in a particular area are in high demand the Market Value of a home in that area will generally go up. In the same way, when demand for homes in a particular area is low, the Market Value of homes in that area may remain level or even go down. Replacement Cost is not affected by the real estate market but is instead affected by the fluctuations in material and labor costs to build a home. For example, if the cost of material such as lumber, concrete, drywall, and carpet are higher in a particular area, then the Replacement Cost of a home in that area will be higher than the Replacement Cost of the same home in an area where materials are less expensive. 3. The Market Value of a new home generally factors in the cost that was required to build the home new. Replacement Cost, however, is looking at the cost to re-build the home, if it were completely destroyed, using all of the same materials and construction techniques originally used to build the home. 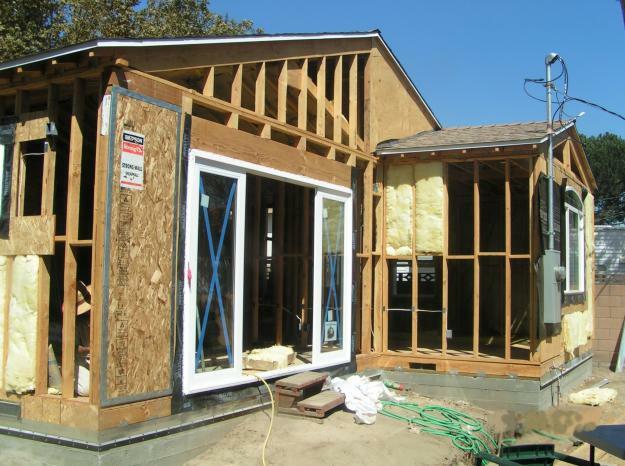 The cost to build a new home can be quite different from the cost to re-build a pre-existing home due to access issues, labor efficiencies, economies of scale, debris removal and higher price of materials that may no longer be in common use (such as lath and plaster vs. drywall). When insuring a home, we always use the Replacement Cost of the home to determine the amount of insurance required as this is what it will cost to replace or repair the home should it be damaged or destroyed. Understanding your coverage and what it means for you is just one of the many things that we offer here at Canyon Lands Insurance. If you are interested in a free quote, please visit our website at http://www.canyonlandsagency.com or give us a call at 480-288-5900. Hope to hear from you soon! More than 400,000 winter visitors migrate from their northern US and Canadian homes to Arizona each year, generally beginning in October. Whether you are coming or going, there is preparation involved in regards to leaving your home unoccupied for several months. No one wants to come home, whether it’s summer, winter, or fall to a disaster that could have been prevented by taking the time to create and execute a plan that will help protect your home while you are away. Here are just a few things to consider when leaving your seasonal home for an extended period of time. Imagine coming home after being on the road for hours or even days. You finally arrive at 12:21am. All you want to do is walk through the door, crawl into your own bed, and drift off to sleep. Instead, you walk through the door and are stopped in your tracks by an overwhelming, musty scent in the air. Your carpet is filthy and each step you take leads you into a swamp that once used to be your living room. Shutting down the main water valve before you leave your home can be one of the most crucial things that you can do in order to prevent water damage that can be caused by frozen pipes, a ruptured washer hose, leaking supply lines or a dripping water heater. In addition to this, we also recommend draining your toilets and turning off your water heater. Although a large number of fires that occur are associated with human activity, fires in vacant homes do happen. Aside from your heating system, security system, or outside lighting,turn off all nonessential electrical circuit breakers in your home’s electrical box. This can minimize the possibility of electrical fires. Along with turning off your breakers, unplug all appliances both large and small. In today’s world, identity theft is one of the fastest growing crimes. If you have personal information stored on your computer, turning it off and disconnecting it from the internet is a must. Although this may sound elementary, be sure to lock all of your doors and windows. If you have a security system, make sure that it is turned on before you leave. You can also alert the local police department of your departure, leaving them your contact information and requesting that they add your home to their vacation watch list. If you have an interim caretaker, provide their information as well. You may also want to consider inviting a neighbor to park in your driveway during your time away. Find more information at http://www.amainsure.com/maturedecisions/protectyourinvestment.html. Taking these few steps can save you time, money and not to mention, a huge headache. Be confident that your home is safe the moment you pull out of your driveway. Peace of mind can be key to enjoying your spring, winter, summer or fall! You have a big remodel planned this summer that includes a revamped master bedroom and bath, a new kitchen, and a small addition that will create a family room off the back of the house. You have been dreaming about cooking in your new kitchen and waking up in your new bedroom for months. You have all the contractors you need lined up. Your permits are in place and you feel like you have everything taken care. But, have you called your insurance agent? One mistake that many homeowners make is doing major improvements to their home without consulting their insurance agent. There are several areas where this oversight can lead to problems with your coverage while the remodeling work is underway and after it is complete. First, you need to make sure you have the right kind and right amount of coverage to protect you during the construction. Don’t wait until work has already started as you don’t want to find out you are underinsured when it is too late to rectify that problem. Second, your insurance needs may change based on the outcome of the remodel. Here are some steps you need to take to ensure you have the coverage you need to protect you during the process. It is important to do this before work starts. There may be additional coverage you need to secure during the remodel. If you or a family member will be doing most of the work, you may need to boost or enhance your liability coverage in the event someone is injured. 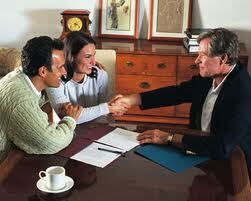 Your agent can also advise you if there are additional coverage’s you need to have in place during the project. The medical payments portion of your homeowners insurance is likely very low as the primary concern under normal circumstances is liability. However, if you or members of your family or even other people like friends are going to be doing some of the work, you should increase this limit. In the event someone is injured during construction, any medical bills can be submitted to the insurance company for payment. While many homeowners think to check the references of subcontractors, they don’t always think to inquire about the subcontractors insurance and bonding. If the person doing work at your house damages your property or injures someone, you need to know that they are carrying adequate insurance to cover those losses. If they do not, the liability may fall on you and your homeowner’s policy may not cover these kinds of claims, leaving you to pay the bill out of pocket. Verify coverage by asking for proof of insurance from any company or individual that will be performing work on your house. If a subcontractor is unable or unwilling to provide proof of insurance, you may want to hire someone else. If you are doing a large project, you may want to purchase additional coverage like a Builder’s Risk policy. This type of policy protects you from any damage to your house during the course of construction including damage from wind or rain, theft of materials, and vandalism. Arizona’s natural beauty and climate make it the perfect place to ride a bike. The blue skies, warm weather, and breathtaking vistas elevate a bike ride to a cycling experience. But while you are out, relishing the feel of the wind on your face and the warmth of the sun on your back, make sure you are taking steps to stay safe and secure. Whenever you are on your bike, safety has to be a top concern. 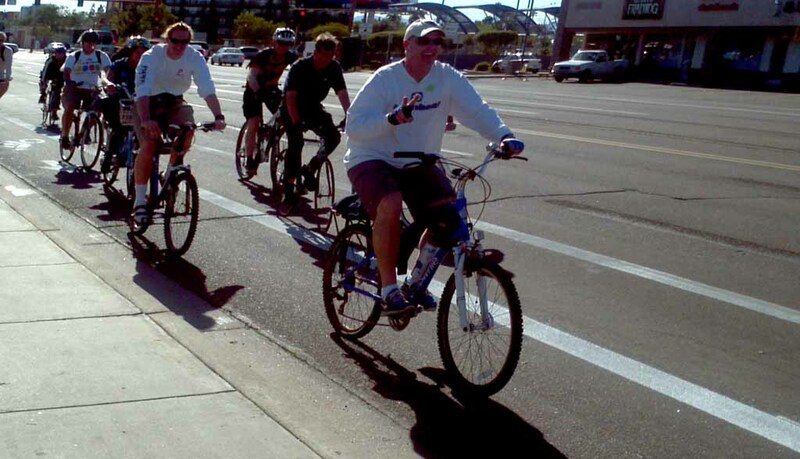 The dangers of cycling are inherent wherever you choose to ride, but here in Arizona you are also dealing with the dangers of the desert like dehydration and heat stroke. Sharing the road with automobiles also increases the risk of riding your bike. In 2009, the National Highway Traffic Safety Administration (NHTSA) indicates that 2% of all traffic fatalities involved cyclists. Be safe whenever and wherever you ride by following these simple safety rules. Use your head and wear a helmet. Never, ever ride without a helmet. According to the NHTSA, 70% of fatal bicycle accidents involve brain injuries and bike helmets are 85% effective at preventing these types of injuries. Follow the rules. When you are on the road, even if you are on a bike, you need to follow the rules of the road just as you would if you were driving a car. This helps keep you safe by making your behavior predictable to those you are sharing the road with. Always stay as far to the right side of the road as you can safely ride. See and be seen. The unfortunate fact is that some automobile drivers won’t see you which means you must assume that none of them see you and make sure you do everything you can to ensure motorists and other cyclists see you. Pay attention. Don’t let yourself become distracted. Don’t wear headphones which block out the sounds of oncoming traffic which could alert you to a dangerous situation. Don’t talk or text on your cell phone. Don’t try to visit with your friend while you are riding together. The best way to stay safe is to stay focused and remain alert to potential dangers around you. Even when you are not on your bike, security should be your top concern. Bikes range in cost from a hundred dollars to several thousand dollars and are easier to steal and resell than a car. The good news is that most standard homeowner’s and renter’s insurance policies cover losses to bicycles. Your policy should cover the same kinds of losses that are covered if you have comprehensive car insurance like damage caused by weather, fire, or theft. Although this is generally the case, you should check your policy or speak to your representative to make sure this coverage is provided in your policy. As part of this check, you also need to ask if there is a limit on the recoverable amount for bicycles under your policy. Even though your homeowner’s or renter’s policy covers damage to bicycles, the amount of coverage may be less than the actual limits on your policy. This is especially important for anyone with expensive bicycles. Don’t assume your policy will automatically cover the cost of a new bike. If there is a limit, ask your agent to explain what options are available to you to increase coverage to cover the full cost of replacement.